Passion Pit are embarking on a 10 year anniversary tour for Manners, and Toronto rockers the Beaches have just been added as the opening act. "We are really looking forward to touring the U.S. again this year," said Beaches singer Jordan Miller. "Seeing Passion Pit perform Manners every night from the best seat in the house will be awesome. 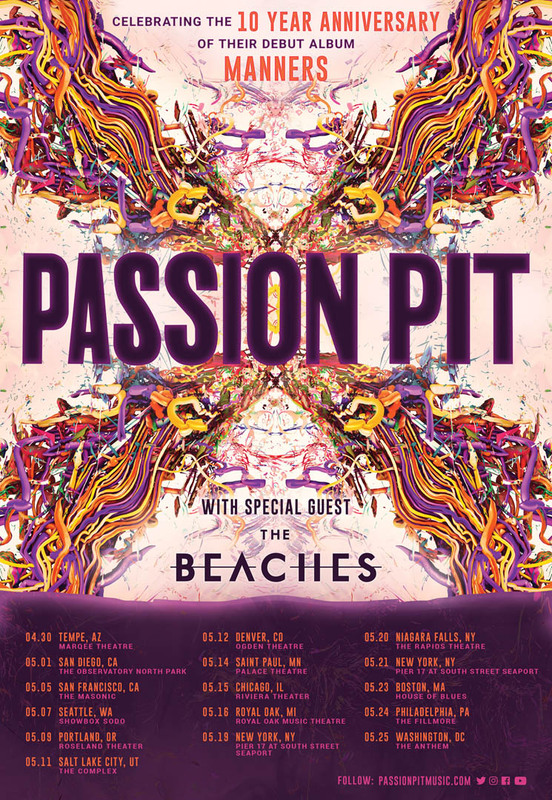 This is going to be a passionate Passion Pit tour." As previously reported, the trek includes a pair of Canadian stops — in Vancouver on May 8 and in Toronto on May 17.